← Is the ICC the Right Response to the ISIS Crisis? Mattia Cacciatori joins JiC for this post on the challenges of providing effective and appropriate reparations from the International Criminal Court. Mattia is a Ph.D. candidate at the University of Bath, focusing on the role of superpowers in the administration of Transitional Justice. In 2012, the International Criminal Court (ICC) found Thomas Dyilo Lubanga guilty of conscripting children under the age of fifteen to fight for his Congolese Patriotic Union. His troops were also implicated in pillaging, torture, and ethnic massacres. 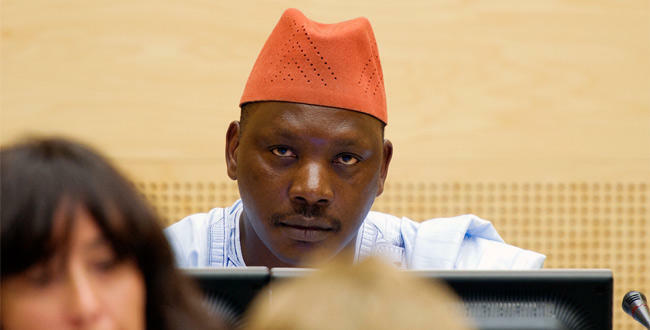 Lubanga’s trial was historic and the first in the ICC’s history to be completed. But the verdict also posed a new challenge for the ICC and the project of international criminal justice: how to pay reparations to the victims and survivors of Lubanga’s crimes. Earlier this month, the Appeals Chambers of the ICC issued its ruling on reparations in the Lubanga case. Specifically, the Appeals Chamber instructed the Trust Fund for Victims (TFV) to present a draft implementation plan in no more than six months to provide victims with reparations. The decision implied that reparations will be awarded on a collective basis, since the number of the victims is too extensive to be dealt with individually. The decision, which followed a 2012 declaration at the ICC on reparations, is groundbreaking. For the first time, the ICC is actively promoting reparations. However, many questions remain. Despite the fact that today’s presiding Judge Erkii Kourula highlighted the importance of reintegrating young victims into Congolese society as well as providing general rehabilitation, housing, education and training, this decision by the Appeals Chambers still seems to be a shot in the dark in the wider process of national reconciliation. The decision on reparations is taking place in a context where concomitant practices of restorative justice, such as truth telling mechanisms and institutional reform, seem to be largely non-existent. This sheds a skeptical light on the restorative process in the Democratic Republic of Congo (DRC) as a whole as well as the ICC’s ability to contribute positively to reconciliation in the region. The ICC is the first international tribunal that has been given the responsibility to issue reparation orders directly against perpetrators in order to (partially) compensate the victims of such ominous crimes. This signals a step forward for transitional justice and it implicitly suggests that punishing criminals via retributive justice is insufficient. Relations must be repaired. But what constitutes reparations? Luke Moffett has observed that “the most discernable way of people understanding what reparations are, is compensation”. There are various forms of reparations for human rights violations, varying from material compensation, restitution of goods lost during the violations, to more symbolic and collective ways of acknowledging the damage that victims suffered as a consequence of a past of violations. Broadly, there are two main ways in which the ICC can grant reparations: first, it can demand that the individual responsible for the crimes, in this case Lubanga, repay the victims. But Lubanga is indigent. He lacks the material resources to provide reparations, even if he was inclined to do so. The second mechanism through which the ICC can compensate the victims is through the Trust Fund for Victims, which has the stated aim, under Art.79 of the Rome Statute, to “support and implement programs that address harms resulting from genocide, crimes of humanity and war crimes”. It has to be noted in this context, that the TFV largely depends on voluntary contributions from states, hence the resources to deliver on its mandate may always be thin. Reparations, in their individual manifestation, are tasked with providing victims with a short-term sense of ‘justice achieved’, since victims can almost immediately perceive their personal harms as, at least partially, remedied. In their collective form, reparations constitute only a small part of the restoration process. They have to be understood as a part of a broader attempt to promote post-conflict societal recovery in the wake of past atrocities. Such processes should include reparations, truth telling fora, and institutional reform. All of these processes should converge as a means to promote the more ambitious goal of national reconciliation. Without these pieces of the restorative mosaic in place, reparations are likely to be understood as a way for the international community to buy the victims’ silence, as the International Center of Transitional Justice (ICTJ) warns. In the DRC, there is currently no sign that the other pieces of the puzzle are in place. A domestic Congolese Truth and Reconciliation Commission (TRC) was established in mid-2003 and operated for almost four years. In February 2007, the TRC released its final report, unusually recommending the creation of a second TRC and thus implicitly admitting its inefficacy to deliver on the mandate of national reconciliation. This experiment has been widely considered as a failure for Congo in its quest for the truth. Institutional reform in post-conflict societies holds different meanings, from a more participative democratic process, to the accountability of security forces in order to limit their power or ability to oppress local populations. In this sense, little seems to have changed since the ICC intervened in the DRC more than a decade ago. Just a month ago, Human Rights’ Watch reported an “unlawful and excessive [use of] force to crack down on protests since January 19, 2015”. On the rebel side, 184 civilians were killed by unidentified rebel forces since October 2014, amounting to war crimes. In this context, it is fair to question both the efficacy of reparations and their significance for the Congolese quest for peace. The ICC is facing a real dilemma: if individual reparations are relatively more straightforward to implement, they seem to have a lesser impact on comprehensive projects of national reconciliation precisely because of their individualistic nature. On the other hand, collective reparations seem to be ineffective, and potentially deleterious, if not implemented in a more complex mosaic that involves truth telling measures and institutional reform. Ultimately, the Court has to decide whether to return to a more conventional approach to individual reparations or to sustain the other processes that are quintessential to promote national reconciliation by engaging more directly with truth telling forums and institutional reform. Pursuing collective reparations will at the same time leave individuals with a sense of dissatisfaction in the short term, and will not sustain processes of national reconciliation. A decision has to be made in a context of growing tensions in the DRC, which will surely add another layer of complexity to this dilemma. That said, keeping a foot in both camps is likely to undermine the long term goal of a peaceful solution for the Congolese situation while leaving victims disillusioned with the ICC at the same time. The Court should acknowledge the fact that collective reparations in the DRC might now be ineffective given the lack of supportive mechanisms for national reconciliation. Individual reparations on the other hand are more achievable in this context, and might also help the Court to regain legitimacy in the eyes of Congolese victims. This entry was posted in Democratic Republic of Congo, International Criminal Court (ICC), Reparations, Transitional Justice, Truth and Reconciliation Commissions, Truth Commission and tagged Thomas Dyilo Lubanga. Bookmark the permalink. 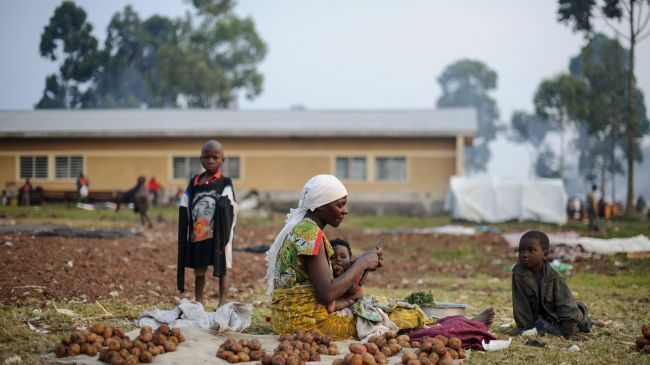 6 Responses to Repairing and Reparations: Buying Victims’ Silence in the DRC?